A Few Blog Sale Things I've Picked Up / Eye Of The Day. 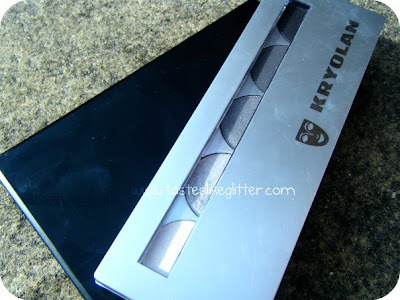 First up is the Kryolan Berlin palette that I got from the blog sale Leanne had. I haven't used this as much as I thought I would but that's down to the fact I keep forgetting I have it. I'm an idiot, I know. 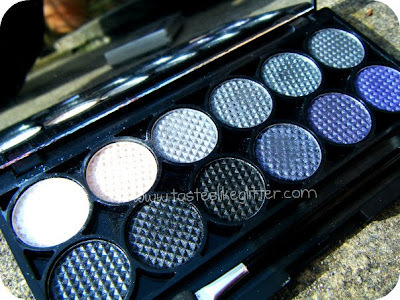 ;) All of the colours are really pigmented besides the lightest, which can take a bit of work but can look good as a highlighter. 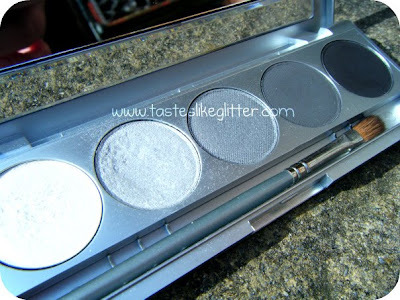 Secondly is the Sleek Graphite palette that I got from Rose. I'd given up looking up for this as I can't get Sleek anywhere around where I live and I was definetly not paying the ridiculous prices it was on eBay for. 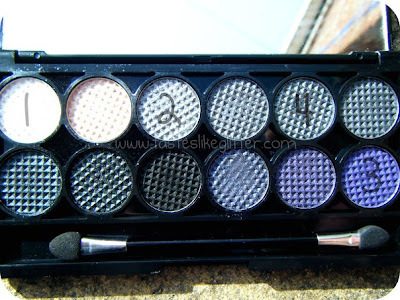 I know I'm totally late in saying that these shadows are amazing quality but for a fiver they really are! Quite a dramatic look but I do love my dramatic eyes. 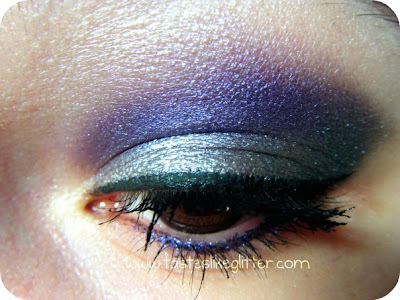 ;) The crease colour I used actually reminds me so much of the base of colour of M.A.C's Grape/Push The Edge pigments. The base colours look identical, it just doesn't have the pink glitter in it. I am loving the Sleek palette so far though. What do we think of Sleek palettes/this look? Let me know. Also, happy March! The last two days have been lovely and Spring-y. Let's all hope it's here to stay. I love being able to go outside whenever I want to take photos as I hate doing them indoors.